The Kihansi spray toad used to live in the spray region of the Kihansi waterfall, in Tanzania, and relied heavily on the spray from the waterfall to maintain a constant temperature and humidity in its environment. But due to the construction of a dam which funded by the World Bank, the waterfall has been disrupted, and the Kihansi spray toad has recently been declared Extinct in the Wild. A number of small populations of this species exist in US zoos, and in spit of several setbacks with the initial population of 500 animals that were collected, the current population now sits at around 470 animals. How many more species will become extinct in the wild, relying entirely on ex situ “ark” populations for their survival, before we start to take better care of our planet and ALL of its inhabitants? More information on the Kihansi spray toad can be found here. Rabb's fringe-limbed tree frog. Photo: Brad Wilson. The International Union for Conservation of Nature (IUCN) has just released its 2009 Red List, and it includes over 17,000 species that are currently threatened by extinctin. The Red List is a comprehensive, global approach for evaluating the conservation status of animal and plant species. This method of evaluation began in 1994, and forthcoming Red List workshops will now include the Amphibian Ark’s Conservation Needs Assessment process to evaluate and prioritize amphibians for the specific conservation needs. The 2009 list contains 1,895 amphibian species that are threatened due to deforestation, climate change, disease and other factors. 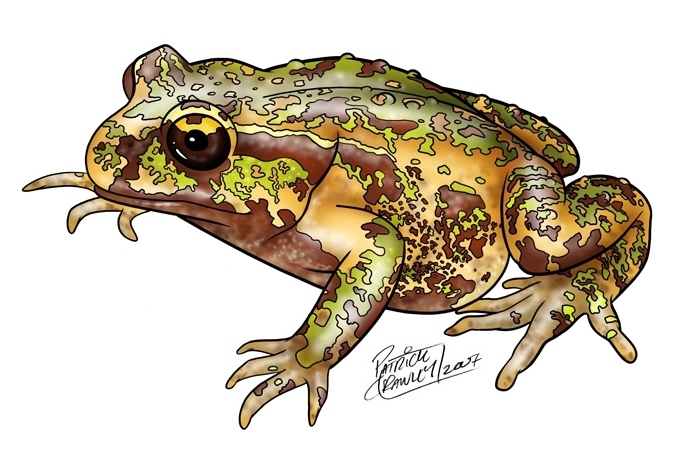 The Kihansi spray toad of southern Tanzania is now thought to be extinct in the wild. A dam upstream of Kihansi Falls has dried up the gorge where it lived, and an aggressive fungal disease known as chytridiomycosis appears to have pushed the toad population over the edge, the group said. The same fate could soon befall the unusually large Rabb’s fringe-limbed tree frog, which glides through the forest using its big webbed feet to steer safely to the ground. It is the only known frog species where the tadpoles feed off skin shed by the male while he guards the young. The chytrid fungus that causes chytridiomycosis reached central Panama in 2006, a year after scientists first discovered the tree frog. Since then the fungus — believed to be spread by international trade and global warming — has virtually wiped out the wild frog population. Click here for the full article about the 2009 Red List update. There are about 6,000 species of amphibians on the planet today. By the time we pass on and leave the world in our children’s hands, one-third to one-half of the species will have gone extinct. It’s projected by scientists to be the most significant mass extinction since the dinosaur. Maybe you’ve heard about this. Maybe not. But following is a straightforward accounting of the tectonic changes behind the massive, global disappearance of frogs, toads, salamanders, newts, and caecilians. The way to act is to read up and help Amphibian Ark at www.amphibianark.org. In Chris Daughtry’s “25 Things You Don’t Know About Me,” the American Idol crooner writes he is not a fan of the frog. See No. 2 item in the US Weekly page above. It’s OK, though. You did give me something to post on an otherwise slow Sunday night. For those of you who love Daughtry and amphibians, find out how to help at http://www.amphibianark.org.